This is the authoritative book on the famous 1972 Fischer Spassky Match, and the book by the strongest player to write about the match. An appendix at the end contains all 20 games of the match in Algebraic Notation plus the concluding diagram for each game. 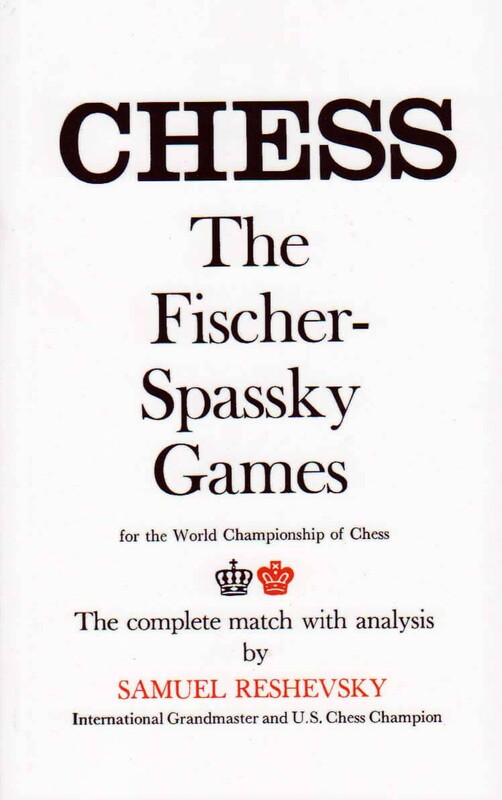 Also added the five games Fischer played against Spassky before the match, which had resulted in the lopsided score of three wins by Spassky and two draws, with no wins by Fischer. Interest has never really waned on the 1972 Fischer-Spassky Match. The full match scores have been collected into this volume. Clearly presented in descriptive notation with diagrams of the critical match positions and with succinct annotations, this record of the world championship match is an invaluable work of reference as well as a brilliant and intimate portrait of the champions. The book about the World Chess Championship contains the full match scores, diagrams of the critical match positions, annotations, indexes of players and variations, as well as brilliant and intimate portraits of the champions. Samuel Reshevsky was born in Ozorkow, Poland on November 26, 1911. Most chess players reach their peak at age 30. It was Reshevsky's misfortune that he reached his peak during the World War II years, when he was probably the strongest player in the world. He played in the World Championship tournament in 1948 and in the Candidates Tournament in Zurich 1953. In both events, there were rumors and reports of collusion by the Soviets to prevent Reshevsky from winning the world championship, which he probably would have won in a fair contest. Fischer is quoted as saying that Reshevsky was the strongest player in the world and would have easily defeated World Champion Botvinnik in a match. However, Reshevsky never got the chance. There is no doubt at all that Reshevsky was the strongest USA player in his time. He won the US championship seven times, in 1936, 1938, 1940, 1941, 1942, 1946 and 1969. He was forced to stop playing chess when his parents were threatened with child abuse charges, so there is almost no record of his play during his teenaged years. Thus we cannot compare him with Bobby Fischer at the same age. He started playing again as an adult and was quickly established as one of the strongest players in the world. Having started as the world's youngest master, Reshevsky went on to become the world's oldest. He never had a birth certificate due to war-time conditions in his native Poland. Reshevsky remained a world class player even after he had passed 60 years old. He even won a game in Moscow against Smyslov in 1991 when Reshevsky was 80 years old. He defeated Grandmaster and US Chess Champion Larry Christiansen just a few months before he died. He died on April 4, 1992 in New York City at age 81.